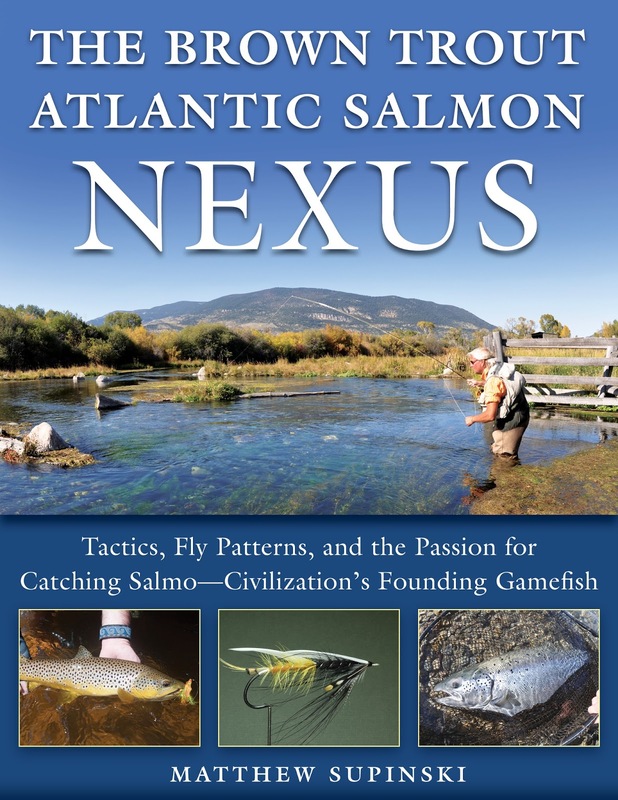 Coming soon…The Brown Trout-Atlantic Salmon Nexus, by author Matthew Supinski, is an in-depth expose’ adorned with stunning images from world–class photographers, that pays homage to civilization’s founding gamefish- Salmo!, in a fusion perspective like no other. It is a journey of the passion unfolding, the evolution and the ground-zero world dominance and invasion, starting from Cro-magnon man to modern mankind. It scientifically explores niche habitat adaptations and the forever changing bi-polar predator /prey foraging profiles that brown trout and Atlantic salmon exploit so uniquely from the benthos to the meniscus. Here is where the art of fly fishing keeps evolving in its mastery of the food mimicry legacy. 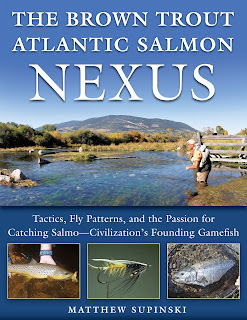 Historical and contemporary tactics and techniques are intimately diagnosed from a Salmo perspective, coupled with hundreds of cutting edges new fly patterns and plates from “the best-of-the-best” world–class fly tiers and the authors patterns, are combined with a world tour of rivers, lakes, seas and oceans that Salmo thrive in their indigenous and conquering domain, A special perspective of “Truttasaurus the Aggressor”, is a dark-sided look at the primordial hunting behavior leviathan brown chasers have come to love so much. New and unorthodox Atlantic salmon techniques are fully explored that originated from the classics and brown trout techniques. Trout bums, scientists, artisans, epicurean gourmands and foragers all add to the journey and prognosis for the future.